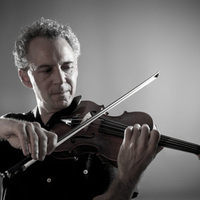 On Monday, November 16th, violinist and composer David Schulman will begin his week-long creative residency at Wake Forest. David is a Chicago-based electric violinist who will be on campus to compose and play live for In the Rift, which will be performed as part of the Wake Forest Dance Company's Fall Faculty and Guest Artist Concert. The concert runs from November 19th-22nd with shows at 7:30 Thursday-Saturday, and 2pm on Sunday. On Friday November 20th and Saturday November 21st from 6:45-7:15, David will be performing musical interpretations of visual art at the Hanes Fine Arts Gallery.